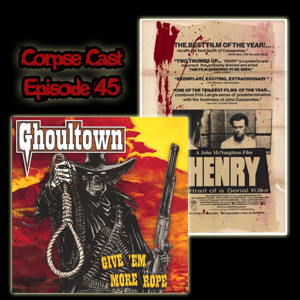 Shenanigans abound in this episode where we start off the show talking about the undead western rock band named Ghoultown and their album from 2002 entitled Give ’em More Rope. We finish off the show with a discussion of a bleak gem called Henry: Portrait of a Serial Killer from 1986. You have to ask yourself one question… You want some fries?